Coast Concierge Service is a Full-Service Event Planning, Production and Design firm. We are known throughout California and International. Our mission is to produce unforgettable Corporate, Social and Weddings Events for our clients. Or a lifetime of great parties? Rená Puebla, one of Southern California's most respected and lauded event planners, shows you how to create the greatest event you, your family and friends have ever seen...from invitations to finding the perfect location, from entertainment to creating the perfect menu. A personal note: A “Wow Factor” to me is being able to make a difference in the world. 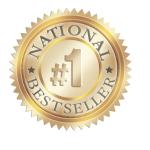 When you buy a copy of The Wow Factor, a percentage of the proceeds goes directly to one of the charities dear to my heart that I support. Spreading the love is truly a Wow Factor! 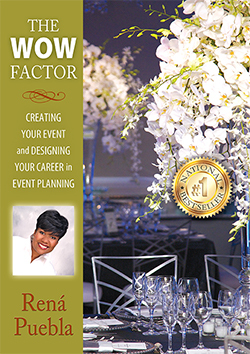 The Wow Factor by Rená Puebla became a National Best Seller in June 2016 in the "Service Industry" and "Weddings" book categories. Thank you, thank you, so much for another GREAT evening! Many of our Board members, guests, clients, ets., sent me compliments on our “Grand Opening”. You did another “Outstanding” job of delivering the “Rená” elegance, style, and excellence service on expects. You did it again and I cannot Thank you enought!